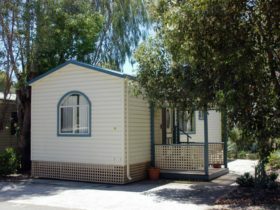 Brookleigh offers luxury and budget accommodation in the beautiful Swan Valley near Perth. 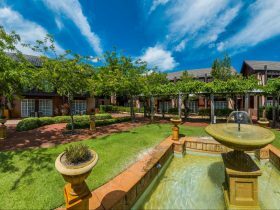 There are two luxury apartment accommodation options available at Brookleigh, situated within the main Chateau home – the Lakeside Apartment and the Courtyard Apartment. 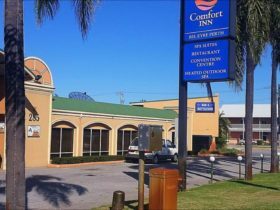 Both accommodation options offer a wonderful base from which to discover the many attractions of the Perth Swan Valley. With the Health and Spa at Brookleigh and the award-winning Stewart’s Restaurant on site, the accommodation is also available for Wedding guests and for retreats and couples’ retreats organised by Health and Spa at Brookleigh. 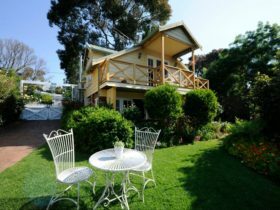 Originally built to support equestrian events, The Bunkhouse accommodation is hired by guests attending functions and weddings at Brookleigh, and also visitors to the Swan Valley. 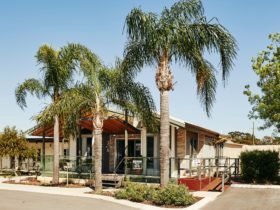 Bunkhouse at Brookleigh offers bunkhouse style accommodation suitable for sleepovers, getaways, conferences, seminars, board meetings and camps, in the heart of the beautiful Swan Valley. The Courtyard Apartment contains one bedroom with walk in robe and bathroom. There is a sitting room with large screen television and a kitchenette containing fridge and microwave only. The Apartment, which overlooks the swimming pool, has reverse cycle air-conditioning and private access from the pool area. 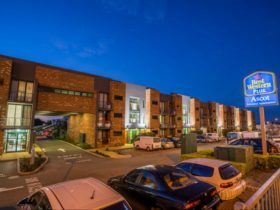 There is also the option of adding an additional bedroom, to make the apartment a two bedroom accommodation. Access to the second bedroom is from the pool area. Perfect for retreats in the Valley. In typical Brookleigh fashion, The Bunkhouse is extremely well maintained. 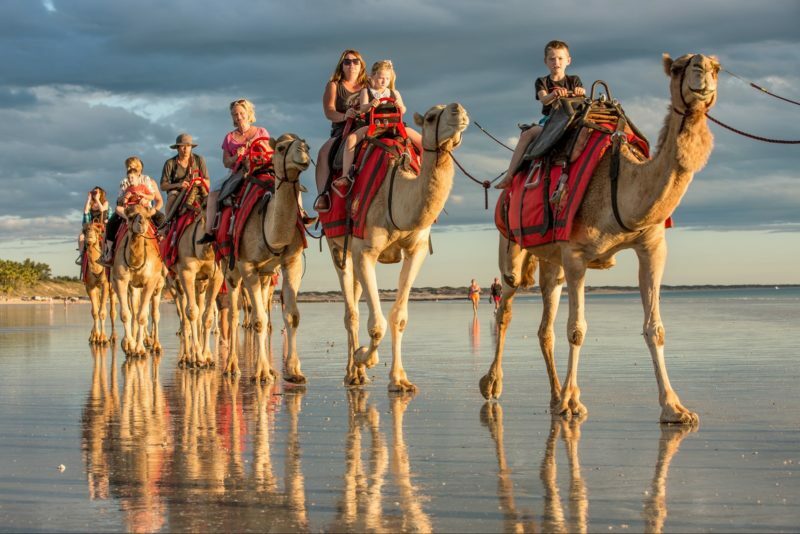 Comfortable, sociable and fun, The Bunkhouse has naturally become very popular. One single bunk bed with shared bathroom facilities, sleeping up to two guests. Each room has a single bunk over a double bed, sleeping up to three guests. Shared bathroom facilities. The Lakeside Apartment is the ideal retreat – the one bedroom apartment with walk in robe and en suite bathroom with multi-jet shower, has its own private access and access to the pool area. The apartment has a patio overlooking the lake (one of the wedding ceremony locations), and contains a kitchen with hob, fridge, and dishwasher. 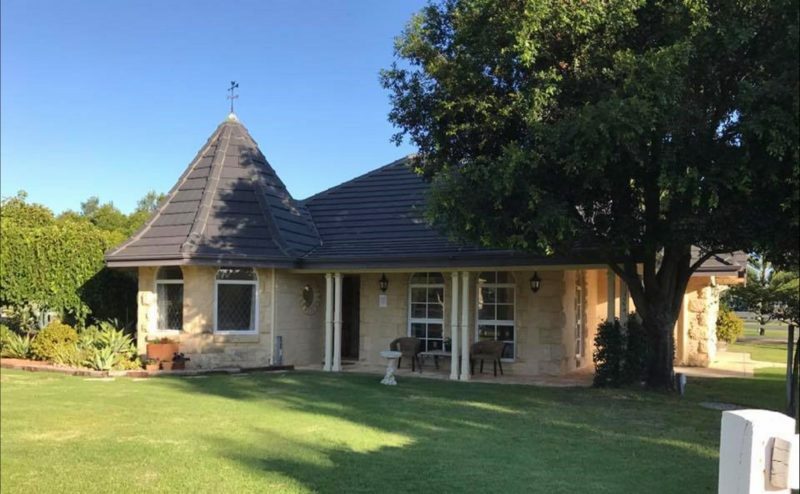 There is also a sitting room with big screen television and reverse cycle air-conditioning – a great place to come back to after a day visiting the many attractions of the Swan Valley.